Google Camera app is built only for Google’s own devices, that is Pixel and Nexus phones. This app comes inbuilt with the stock Android OS. You may find Google Camera in Play Store or some other mirror site, but those are not device specific. This means you may not get the full features like working HDR+ mode, Panorama, PhotoSphere and Google lens. HDR+ mode is something unique in Pixel devices, and you may not find it on other smartphones. Thankfully, we have a great developer community, XDA Senior Member cstark27 ported the Google Pixel Camera app for OnePlus 6. You can download Google Camera app for OnePlus 6 with working HDR+ (both rear and front), lens blur, Panorama, PhotoSphere and Google lens. If your OnePlus 6 is on the latest OxygenOS Pie ROM, you can download version 8.2. In this case, version 8.2 will use the Nexus 6 configuration to have better auto-focus. Otherwise, Google Camera V5.3.015 is out there for Oreo-based OxygenOS. We have download links for both the versions, read ahead and grab them now! However, there may be some issues like while using portrait mode; the device may get locked. Also, autofocus might not work correctly. Slow motion video shoot may require Magisk mod to work perfectly. Since the App is in alpha stage, these bugs are normal. We hope the developer will fix them very soon. We will update the post as well, once we get the notification from the developer. Note: ZERO Shutter Lag (ZSL) mode is still not included in Pixel2Mod Arnova8G2 V8.2. At first, be sure that you don’t have the previous version of Google Camera app installed on your OnePlus 6. If there is an older version, please do uninstall it before installing the latest release from our post. Now, install the APK file that you had downloaded from the above link. While installing, you will be asked to allow unknown source. Just let it! The app will be installed automatically, and you are done! If you face tint and issue with camera performance, please clear the app data and cache. After clearing, reboot your device and check. Go to Settings option from the app drawer. Navigate to Apps & notifications options and choose Application list. Select Google Camera from the app list. Perform the cleaning by tapping on CLEAR STORAGE and CLEAR CACHE option. Reboot now! You are done! This will surely fix Tint and performance issue of OnePlus 6 Google Camera App. 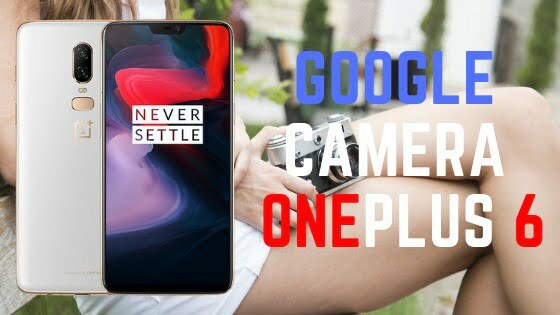 What’re your views on Google Camera (Google Lens) on OnePlus 6? Stock or Google? Which one is performing better? Do let us know by commenting below!